This plugin is only supported in the previous version of ClassifiedEngine. After your purchase, if you want to use Revolution Slider please contact our customer support to support@enginethemes.com for more information. After you install your theme, you’ll see a notification appear on the top of the site. 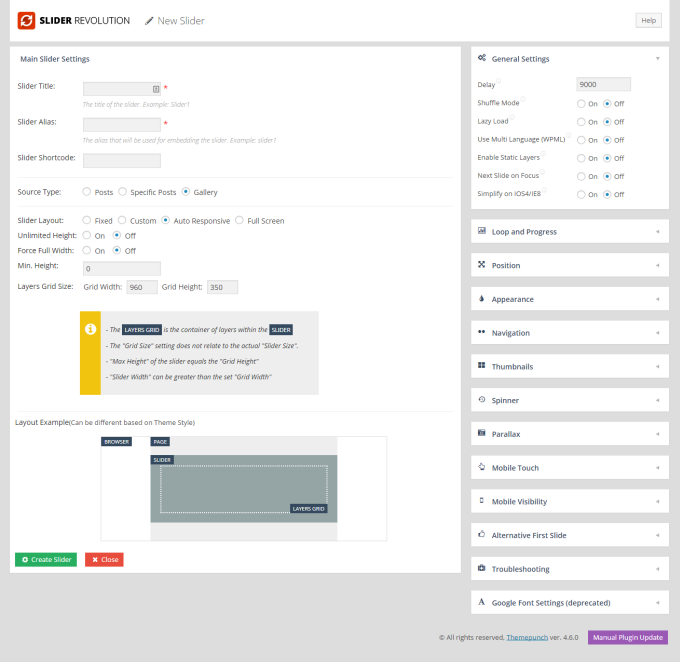 It reminds you to update the support plugin: Revolution slider and Woo Commerce. • Activating Revolution Slider plugin. Choose Plugins > Activate the plugin. Then you’ll find the plugin in your admin panel. Visit the Revolution Slider section, you can find an “Import slider” button, click on it and you can upload the default slider. You can also create a new slider based on your need. - Click Create new slider. - Complete all the blanks fields such as slider title, slider alias, slider shortcode. You can do other settings for the slider as well. Then hit Create slider. After all, WooCommerce is a plugin to help you optimize the performance of your site. The process to install it is not much difference from installing the other ones. 2. Search “ WooCommerce” and you will then see a list of plugins, choose WooCommerce – excelling eCommerce. Click Install and Activate the plugin. 3. You will then see a tab named WooCommerce in your admin panel to do your settings. 4. Currently, we’ve supported these main functions from WooCommerce: currency, payment gateways and reports. Choose WooCommerce > Settings > then you can do the needed work. In the General tab, you can find different options to set up the currency system such as: currency, currency position, separator symbol, etc. 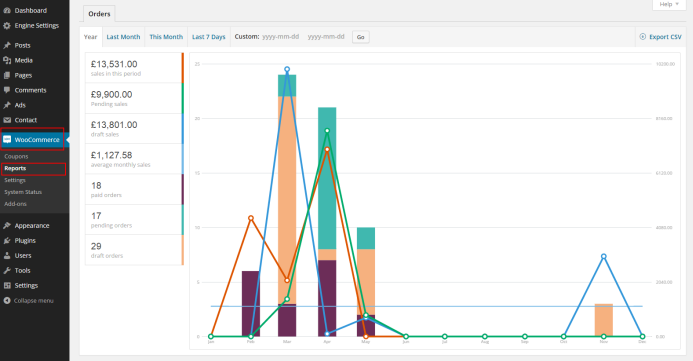 Visiting the Report tab, you can manage your store performance with sales indicators of a week, month, year or date range using graphs and stats. Click Export CSV to export sales indicators.